Original caption: Danger. 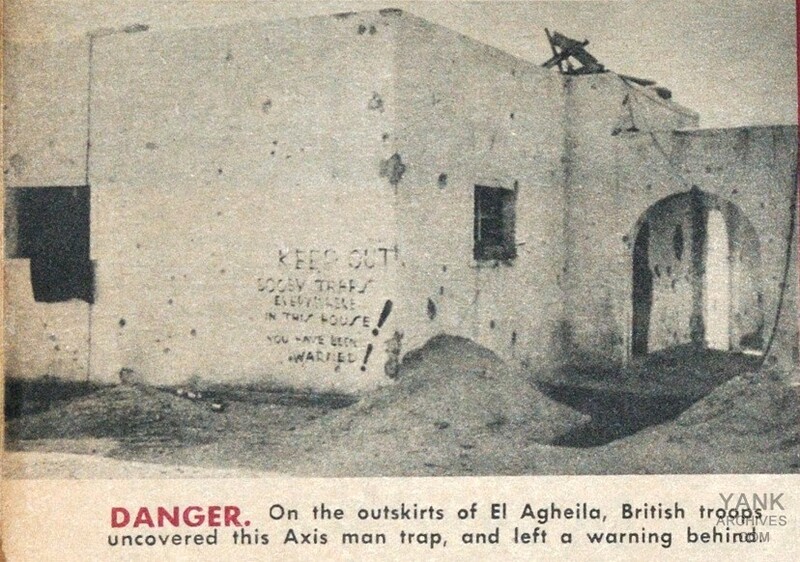 On the outskirts of El Agheila, British troops uncovered this Axis mantrap, and left a warning behind. The warning reads: "Keep out. Booby traps everywhere in this house! You have been warned!" Nomenclature changes but the techniques of warfare remain - today we call them improvised explosive devices. El Agheila was traded back and forth between the Axis and Allies during years of fighting.